"Ultra flexible with the right developers"
I’ve used Craft for the past 2.5 years and we have a great developer partner who’s helped us grow our Craft CMS capabilities from scratch. Our developers have worked directly with Craft to make changes in the platform to let it grow beyond the initial out of box experience. Although we’ve taken Craft VERY far, I don’t think we can take it further in the sense of global e-commerce use. I say this because our global organization needs flexibility to manage content as similarly or differently as each part of the globe requires. So far, we made changes to accomplish this but it’s certainly beyond what Craft was designed for. "Ultimate Flexibility, You choose the speed." CraftCMS is what you make it. There are no rules when it comes to how you set up your content, or your templates. Template layouts are completely separated from the data and the CMS makes no assumptions. For a simple site, for low-cost clients, the cost can be prohibitive, especially when WordPress is free and in the mindshare of the uneducated. Craft is not designed for the non-developer. You must know basic html, basic PHP and be willing to custom code your theme. Craft Does not have an out of the box template and is not a 2 click setup like wordpress. Complete data flexibility. I can create admin pages that suit the users that enter the content and ensure they are properly templated and provide exceptional experiences for web users. Many CMSes appear to be built solely for the developers who set them up ... Craft is built for developers and content admins alike. It's flexible, intuitive and easy to use. It's also powerful and impressive in what in can do. (Sometimes easy = limited.) As someone who has used many a CMS over the years, including the well-known ones, as well as proprietary ones, its obvious to me that Craft is the product of well-thought out design and development – which is what my company sells to its customers. Craft allows us to implement unique designs in a logical and thoughtful way. I love using it and training others to use it! There are some features not yet offered in Craft that some customers come to expect in CMSes, specifically with workflow and permissions. However, I am impressed with their commitment to updates and improvements, and the open-source nature of the product means that the developer community has produced many plugins. It's also great that our in-house team can do custom development to partner with it, as well. Looking forward to future features and improvements! It's built thinking about users first – developers as the users setting it up, content managers as the users maintaining it and end-users experiencing a great website because Craft is powering it. And the open-source community is great. Can't beat the low cost of entry (soon to be a minimal yearly subscription), either. Craft allows us to provide customers with wesbites that are flexible and easy-to-administer. Though we don't reuse a design template, we learn more about Craft and its capabilities with each project. Problem-solving with Craft in our toolkit means fewer work-arounds and "no-can-dos" ... we are able to realize individualized designs while completing complex technical functions in the websites we create for our customers. "One of the best mid market CMS platforms"
Extremely flexible CMS that doesn't feel like you are hacking it to accommodate requirements. Come with a great blend of base features, so it doesn't feel like you have to remove features that seem in the way. Wish there was a cloud hosting offered, so we could just hand off clients vs setting up and maintaining the host for each client. In our experience, Craft often gets compared to Umbraco in the .NET world and they provide that offering. Support the developers of the craft community with their plugins. The craft community is very helpful and very active and passionate. Recently built a multilingual site for 10 countries with various admins coming in to manager their country. Craft works really well for just translating a site in many languages that share the same requirements. When you introduce various content admins with different requirements, we discovered that we had to hide parts of the admin with css (not cool). "Perfect for Helping Clients Manage their Content"
Flexible for developers but easy for our clients to maintain their own content. It's still a relatively new product so it's a little harder sell for some clients who may be used to something like WordPress. Craft is not for DIYers or heavy enterprise usage (although it could be used for either). The middle of the market (SMB) is where Craft seems to find a lot of usage. For those of us who prefer to write our own code, Craft gives us the tools necessary to help facilitate that. With their first party e-commerce system it's also pretty flexible in the commerce space. "Simple to use, professional results"
The ease of use. There is a live preview function so you never have to make a page live until you're 100% happy with how it looks. Occasionally there's issues with being unable to do something, but I'm not an administrator of the system so it's easy to contact the administrator to make the necessary changes. If you're not administering the system yourself, work with a trusted partner who understands your brand and what you want out of your website. Updating the website quickly. Changes were previously made by emailing a 3rd party which was time consuming. "Most flexible CMS I have ever used"
Craft CMS makes no assumptions what type of content or function you will handle or you will need: as you make progress in setting up the CMS becomes the admin more feature packed: the default installation is pure and barebone, no clutters. There are much less plugins for Craft CMS - but this is because the attitude of the system: you build what you need from much smaller pieces than on any other CMSes. I needed a framework which handles all the heavylifting of database access, read, write, modify, user management, admin backend, etc, but I hated the way WordPress kept messing with the frontend. With Craft these two are completely separated, what I really love. "Craft makes complex CMS builds enjoyable"
Craft CMS gives me access to powerful php and twig functionality in the templates without the convoluted nature of Expression Engine. Craft has few things about it that I dislike. BK and the team at P&T have made it usable from top to bottom. Give it a try because it has more power and security than wordpress and more usability than expression engine. There are now drawbacks to other CMS systems that I have encountered. Craft CMS solves the problems inherently requiring a CMS, and I have seen benefits with clients being able to generate new pages and new content with ease. Our team has found Craft to be a huge asset when building larger scale custom sites. There are very few restrictions for our developers and limitless options when building out a fully editable CMS where our clients can eventually adapt, change and setup limitless pages within a working system. Craft is a great solution to provide flexibility, but that flexibility makes it very easy for clients to mess up a site once the CMS has been handed over. There are a lot of pieces to manage but it has been better than most of the other CMS options we have tried. The ability to adapt pages and create a larger system that doesn't feel too "theme-y" when creating custom sites is a clear benefit. Our programmers are better able to control the end look of pages and match the creative team's designs. Craft allows for highly editable pages and design with modules that can easily be reordered on a page which alyas seems to be a key benefit to clients. "The best in town (if you like PHP and crave full control over your frontend code)"
The CMS is built around a very good implementations of Custom fields and let you write frontend code as you like, without adding any html bits whatsoever! Craft 2 is a little bit slow for my taste. Also plugins does not have a common repository (but Craft 3 will have it's own plugin store). It's stable and trustworthy. Great support and you don't get that Frankenstein feel as with other brands. it all works together and seamlessly. Their SEO capabilities could be better, they're even less reliable than Yoast. If you have a big company with a lot of content and needs, good product. A stable source for a large, growing website. Having keyturn capabilities also helps. "Craft CMS: Great Flexibility, Takes Some Heavy Lifting"
We worked with developers to design a website platform on Craft that we could easily manage and edit. I love that it's customized to our design and experience. For minor edits and layouts working with Craft is great. When developing more complex pages or changing templates, it requires a developers help. This is something that we hopefully will be able to move past. Great product for flexibility and ease of use and developing a custom website. We were able to build a beautiful and compelling site that's easy to navigate and edit on the backend. We have saved time and money by working with Craft. We also have a platform that is user-friendly, which is imperative for the up-keep of the site and new users to the platform. "Craft - Building instead of Manipulating"
Craft comes to you like a new born child. Empty and waiting for you to fill it will goodness and knowledge. You build exactly what you want and Craft lets you control exactly what the browser spits out. Craft is like taking all your legos, spilling them in a big pile, and then going to town and building whatever comes into your mind. Craft can managed what metadata you want it to, you are not locked into a preinstalled program. Craft also comes with a built in security that makes another CMS look down right sad. Put simple, craft is Building instead of Manipulating. There is a bit of a learning curve to Craft and while that is to be expected, I had to pick something to place here. The price can also be an issue, while $299 may seem cheap compared to some. I find with small businesses it becomes a issue. Craft's content table is just a bit of let down as well. There is also the The Ugly Data. After careful curation of Fields, Field Groups, and to which Entry Types they are assigned, each Field becomes a new column in this table and fill them all with NULL data. Craft CMS has really allowed me to let my design idea take off. I am no longer boxed in by the developers box. I can really build a site instead of manipulating someone else's framework. Many of my clients have heard of wordpress and come in look it. Craft offers a simple and easy to use backend interface, maybe a little more advanced than wordpress but simple enough for my average client to use and manage their own website. With the flexible of twig I have been able to develop power websites with no limitations from the CMS. Flexibility, great functionality to add custom fields. Matrix field is amazing. Beautiful mark up with twig. Documentation is easy to read and there's tons of great examples. Tons of great people on the stack exchange that respond to your questions in just a couple of hours. It still feels a little barebones in some ways. For example you can create a front-end entry form, yet some fields aren't supported which makes it hard to create front-end forms with custom fields. Building a web platform. Its been extremely great with public users and front end forms, but a little limited in terms of functionality. "Content Management System & Event Management Platform"
Great system with a flexible interface that allows for customization and creative use. Admin interface UX could be improved to facilitate ease of use and content management for inexperienced users. Great platform for creating custom sites and platforms, with limitations indicative to CMS platforms. 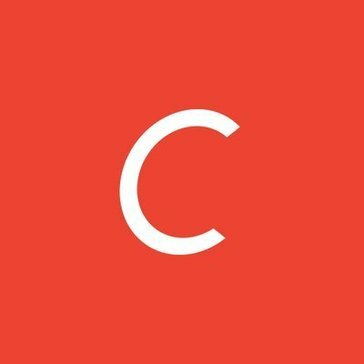 We've created a completely custom event management platform based off of craft to manage data, front end website and data collection. It has allowed us to streamline our workflow and processes and has contributed significantly to successful event operations and management. "First time Craft CMS user"
Very intuitive software, easy to navigate and find different areas for editing. It's easy to select elements to add and arrange, enable or disable content. I can easily link to other entries and find them quickly. I especially like how I can organize different sections as well as rearrange documents in the asset manager. I have difficulty editing text at time. I'll place my cursor on content and when I start typing it jumps to a different area. I have to remember to clear the cache when making edits to menus. Sometimes it's difficult getting the URL from an asset I uploaded such as a word doc so I can share with colleagues for other uses. Great interface for beginners and experienced users. Easy to learn with continuous use. Flexibility of posting articles with ability to post in future at a specific time. It's also helpful having articles expiration dates so I can reduce the number of entries on various pages. The software design is making it possible for other staff with less technical background be able to edit various parts of the website, increasing our efficiency as an organization. Just get it and start playing. "I'm not a fan of this platform"
Creating entries is fairly simple in craft, but I don't really like craft. I think the user experience for craft needs some serious work. I have a lot of problems being able to adequately do the things I want to with craft. Don't get Craft. It's not as good as other platforms. I don't feel like I've solved any problems. I've only run into greater difficulty using this program. "Overall, CRAFT CMS was pretty user friendly but, it took some time to figure how to edit each page." Making easy text changes and creating new navigation menu items. Not very robust if you want to add new features such as videos and requiring sub headers when you don't want any. It resolved having a website for our event. The benefits was that I was able to create as many pages I need and menu navigation headers. Craft is a user-friendly way for me to quickly learn information about companies in our membership base. Sometimes the system can be very slow/not refresh quickly. Hold a lot of information about companies in our membership base, making it easy for several different departments to look up what they each need. "Very easy to navigate in Craft"
It's easy to navigate around. Searching on domain makes it quick to see if a company is a member. The hesitation you get sometimes when it's searching for the domain / company name / user. It can be annoying because it doesn't look like anything is matching. You go to start a new search and as you are hitting the enter, your last search starts to appear. Doesn't happen often, but when it does it just wastes time to have to go back and enter it again. "From Wordpress to Craft CMS"
It's easier and a lot easier to arrange and index content for SEO purposes. There have been some issues with redirects, images and imported information. We use Craft CMS for our website and related blog. It's very clean and sleek and we don't need an excessive number of plug-ins compared to wordpress. "Craft - Effective, but glitchy "
When Craft is operating properly, the application is effective and easy to use. Craft has an ongoing issue of crashing for long periods of time. Often times, I will have to start and refresh the app multiple times before I have a usable interface. Craft makes it easy to navigate a full lead pipeline and manage existing clients. I like that with the help of our development team, we can ad any custom field that we would like. We occasionally experience weird bugs with text formatting, and user images disappearing. The hard work put in to set up the CMS how you would like up front pays dividends down the road for the average non-developer user. * We monitor all Craft CMS reviews to prevent fraudulent reviews and keep review quality high. We do not post reviews by company employees or direct competitors. Validated reviews require the user to submit a screenshot of the product containing their user ID, in order to verify a user is an actual user of the product. Hi there! Are you looking to implement a solution like Craft CMS?